It’s only been a week of 2016’s Fall season but top-line fashion trends can’t afford any time dedicated to resting. 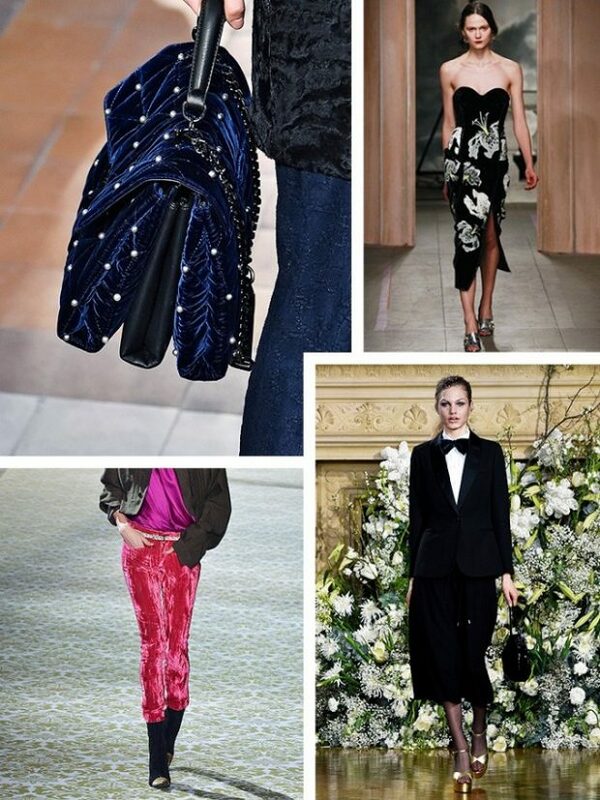 This season’s trends differ wildly from each other but they have one thing in common – novel creativity. Of course, every season and every trend that the designers push out has to be creative and unique so as to offer us new and exciting things but right now there’s a trend that pushes the existing boundaries with something new and stirring to offer. 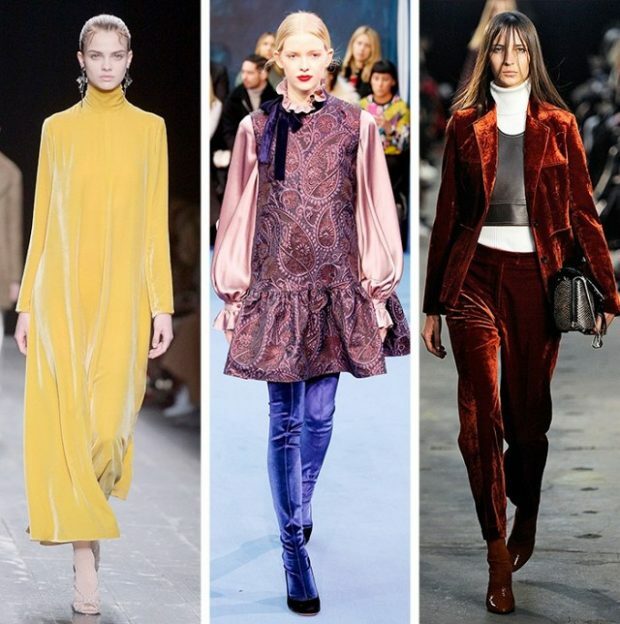 Velvet has arrived with a new and bold statement that it is no longer the fabric of dark, romantic or Gothic evening-only clothes. It shows that it is something that can be used in everything from trouser suits to thigh-high boots, mixed into the most vibrant and stylish street wardrobes. 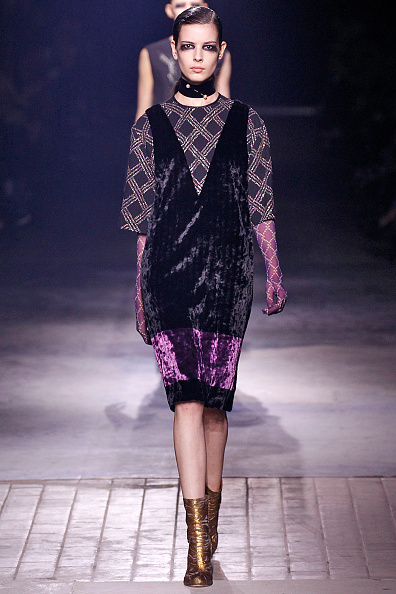 The bold-color velvet trend works just as well in the stifling heat as it does on a crisp autumn day. As you’ll see in the pictures below, velvet feels completely at home in warm weather, especially when it is colored in rich, eye-popping hues. But what about when the weather isn’t that warm anymore? Just layer in a few black basics such as a leather jack, tights or a paper-thin turtleneck that will keep you warm and you’ll be fine for a couple of more velvet months. Emily Ratajkowski, Alycia Debnam Carey and Emma Roberts, Stella Maxwell.